The sound of big studio hardware reborn as software effects. Let's face it, there are hundreds of software effects out there. You don't have the time or the budget to try them all out and find the ones you like. The team at Arturia felt the same way. We wanted to make things simpler, so we could spend more time making music, and less time auditioning dozens of effects. 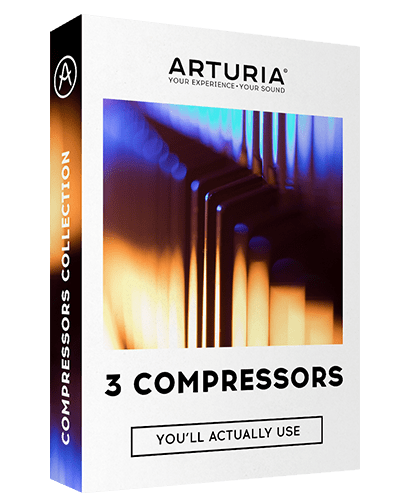 3 Compressors You'll Actually Use features - you've guessed it - a trio of legendary compressors recreated as software through physical modelling. In the same way the biggest studios and record artists relied on these compressors to achieve their signature sounds, they will become your go-to choice for shaping the dynamics and adding character to your music.